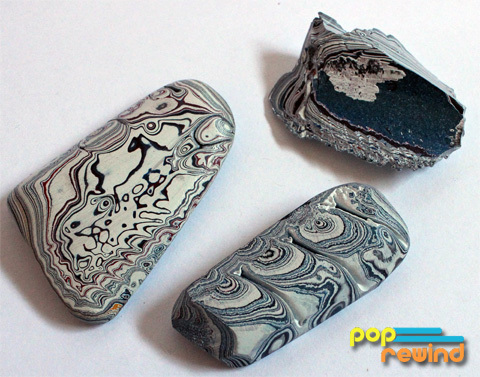 Pop Rewind — Paint Rocks? I may be getting a little too regional with this one, but last year I heard of something called Fordite (or Detroitite or Detroit Agate). We didn’t call it anything clever like that. We called them “Paint Rocks”. The “we” in this story is my best friend Hoser and I. Hoser’s dad worked at an automotive assembly plant, not in Detroit, but close enough. He would bring home these hardened chunks of automotive paint. Cars were spray-painted by hand back then (this is now automated) and he’d collect some of the cool-looking drippings. He’d sand the pieces down and even drilled holes in a few larger paint rocks so we could wear them as pendants. The flatter side of the larger piece was always my favorite (although I’m sure I had more paint rocks, these are the three I could find) because it looks like a face. Because of the way the painting process goes now, there’s no build-up of dried paint anymore, making Fordite kind of rare. After I saw that Fordite is actually a thing and wasn’t just some weird slightly toxic (probably not?) thing my friend’s dad supplied us with, my mind was kind of blown. I mean, other people are playing with chunks of car paint? And they’re making jewellery out of it like we did (albeit more sophisticated than just drilling a single hole and hanging it off some string, but jewellery just the same). 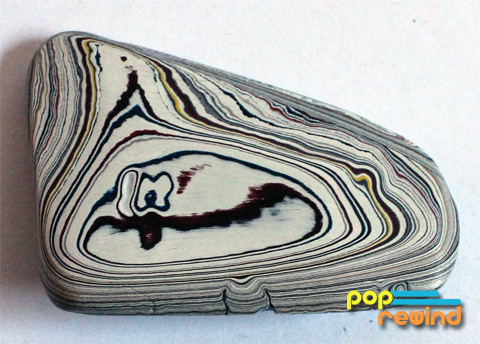 Depending on what colors the cars were painted, you could end up with some really interesting looking pieces of Fordite. Googling Fordite Jewellery brings up things so fantastic that you wouldn’t believe it was just chunks of dried paint. 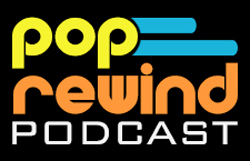 Turns out we were ahead of the game instead of late bloomers on this for once!